Dead Space 2 remains top of the UKIE/GFK Chart-Track All formats top 40 for the second week in a row. As reported on the Train2Game blog, EA’s survival horror made its chart debut last Monday, and a second week of strong sales sees it remain Number 1. FIFA 11 is also still selling strongly and once again holds onto second place in what is its 19th consecutive week in the UKIE chart. Assassin’s Creed: Brotherhood moves up the table once again to take Number 3. Activision’s Call of Duty: Black Ops shows that there’s still life in the shooter yet – despite a complete lack of pricediscounting – by moving one place up to fifth. It’s Black Ops 13th week in the top ten. Meanwhile, LittleBigPlanet 2 drops down to No.5, two weeks after it claimed top spot when released. There’s no change at 6 and 7 with Just Dance 2 and Need for Speed: Hot Pursuit both non-movers, while Art Academy for the Nintendo DS climbs one to No.8. The Sims 3 re-enters the top ten in ninth spot while Wii-Fit Plus drops to tenth. Nintendo titles Mario vs. Donkey Kong: Mini Land Mayhem and Mario Sports Mix enter the UKIE/GFK-Chart Track All Formats Top 40 in 11th and 12th places, with the only other new entry being The Sims 3 expansion Outdoor Living Stuff. So Train2Game, are you at all surprised to see Dead Space 2 hold onto No.1 for the second week in a row? With arguably no major releases this week, could EA’s shooter stay on top for a third consecutive week? Or can FIFA 11 re-take No. 1 in its 20th week in the chart? As usual, you can leave your thoughts here on the Train2Game blog, or on the Train2Game forum. Alternatively, you can let us know what you think via the Train2Game Twitter. Train2Game, in association with DR Studios and the University of Bedfordshire, will be holding a Game Jam at the end of March. For more information, see this Train2Game blog post or the Train2Game Game Jam Facebook page. Alternatively, keep an eye on the Train2Game Game Jam Twitter account. LittleBigPlanet 2, the almost essential game for Train2Game students, has climbed to the top of the UK Charts on just its first week on sale. LittleBigPlanet 2 was released on Friday and has proved popular amongst the Train2Game Facebook community. It marks Media Molecules’ first ever GFK Chart-Track All formats Number 1, and trumps the original games highest position of Number 4 when it was released towards the end of 2008. The PlayStation 3 exclusive has not only been more popular in its first week than that of its original, but has already smashed the online user count of LittleBigPlanet 2. The other big release of the week was the PlayStation 3 version of Mass Effect 2 which means the EA title climbs to Number 7 in this weeks chart. LittleBigPlanet2s rise to Number 1 means Call of Duty: Black Ops drops to Number 2. That prevents the Activision giant from equalling Modern Warfare 2s total of eight weeks at Number 1…at least for now. Elsewhere in the chart, Just Dance 2 remains in Number 3 while FIFA 11 drops two places to Number 4. Assassin’s Creed: Brotherhood moves up two to Number 5, Wii Fit Plus drops two to Number 6, while as mentioned above, Mass Effect 2 takes Number 7. The top ten is completed by Kinect Sports, former Number 1 Gran Turismo 5 and Need for Speed: Hot Pursuit. DC Universe online and Fallout: New Vegas both drop of the top ten. 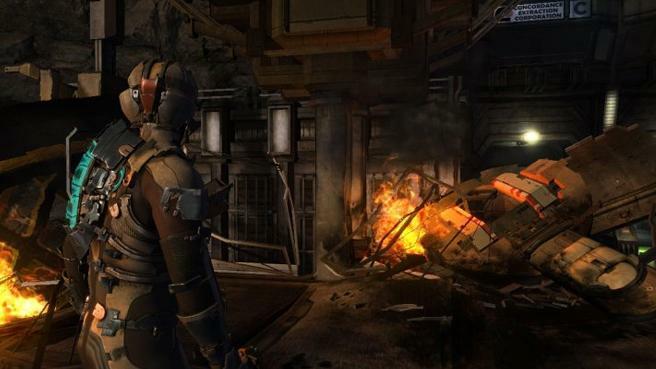 The big release of the coming week is Dead Space 2 for PlayStation 3, Xbox 360 and the PC. So Train2Game, what are your thoughts on LittleBigPlanet 2s Number 1? Are you surprised it has been so successful? Will it hold onto the top spot next week? Could Dead Space 2 claim it next week, or will it go back to Call of Duty: Black Ops? UKIE reveal top selling games of 2010. Can you guess what they are Train2Game? Train2Game students are evidently aware that 2010 was a huge year for the games industry, and everyone has their own opinion as to what were the top games. Of course, debate will continue to rage across the internet – including the Train2Game forum – but now Interactive Entertainment body UKIE has revealed the UK’s top selling games of 2010. Train2Game students probably won’t be too surprised about what title was at the top of the list…Yes, it was that little game you might have heard of called Call of Duty: Black Ops. Activision’s flagship title has sold over three million copies in the UK, with almost half of those sales coming in the first 24 hours. Call of Duty: Black Ops has held the Number One spot in the UK All Formats Chart for eight weeks. It currently sits in third, the games lowest position in the All Formats Chart since its massive release in November. Current chart topper FIFA 11 was the second biggest selling game of 2010, which is again rather unsurprising given its record breaking amount of worldwide sales. Both the Number 1 and Number 2 best selling games of 2010 have received plenty of discussion on the Train2Game forum and the Train2Game Facebook page. Rockstars’ Red Dead Redemption was the fourth biggest selling game of the year, while Assassin’s Creed: Brotherhood – reported by the Train2Game blog to be one of the biggest surprises of the year – was 2010’s seventh biggest selling video game. Xbox 360 exclusive shooter Halo: Reach – which made $200 million worldwide during its first day on sale – was the ninth biggest selling game of the year. The top ten is rounded out by Battlefield: Bad Company 2. UKIE Director General Micheal Rawlinson said the games industry is ever growing, something that’ll please students on Train2Game courses! Interested Train2Game students can also check out the individual consoles top five selling games on the UKIE website. So Train2Game, what are your thoughts on the Top Ten of 2010? Does it show a games industry that’s very healthy? Or do you think the list is too unsurprising? And what are your thoughts about almost half of the best selling games being casual titles? Train2Game students probably aren’t surprised to see that Call of Duty: Black Ops remains at the top of the UKIE GfK Chart-Track All Formats chart this week, once again comfortably holding off its rivals. 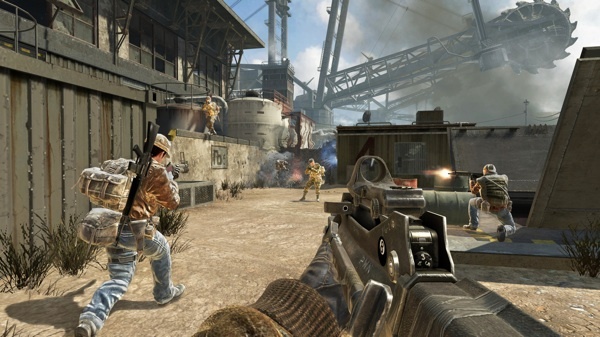 Regular readers of the Train2Game blog will know that Call of Duty: Black Ops has topped the chart every week since it was released in early November. The only week Activision’s shooter hasn’t claimed Number 1 so far is the week Gran Turismo 5 was released. FIFA 11 is also a non-mover, holding onto second place for the second week running. It’s an impressive feat when you consider the game was first released over two months ago. This weeks highest new entry is World of Warcraft: Cataclysm, with the PC exclusive expansion title taking third place after its worldwide launch last week. Train2Game students may be interested to here that Cataclysm’s achievement doesn’t include digital sales, according to GamesIndustry.biz. The new entry of World of Warcraft: Cataclysm pushes Assassin’s Creed: Brotherhood and Gran Turismo 5 down one place each to fourth and fifth respectively. Just Dance 2 also drops one place to sixth place in this weeks All-Formats chart, while Need for Speed: Hot Pursuit is a non-mover in seventh. Donkey Kong Country returns for the Nintendo Wii enters the top ten in its second week on sale, bounding five places up the chart to eighth place. Professor Layton and the Lost Future for the Nintendo DS and Wii Fit Plus round out the top ten, having swapped positions since last week. Michael Jackson: The Experience and Wii Party both drop out the top ten, falling to 11th and 12th respectively. Former Number 1 Fallout: New Vegas doesn’t look like it’ll be reentering the top ten any time soon, dropping from 11th to 18th place. Disney’s Epic Mickey enters the top 40 for the first time, but only manages to sneak up to 37th place. So Train2Game, are you at all surprised that World of Warcraft: Cataclysm didn’t take Number 1? 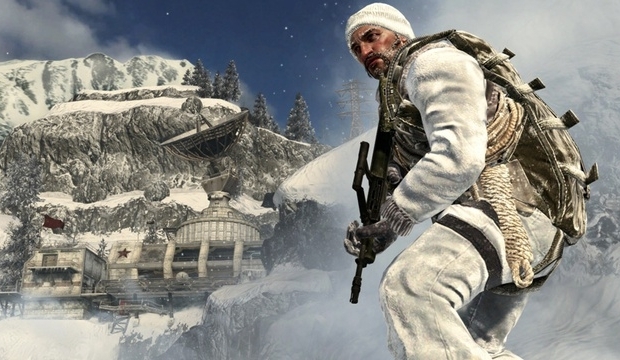 Or was it always going to be difficult for a PC exclusive to knock down Call of Duty: Black Ops? And with Christmas fast approaching, which game do you think will the all important title of Christmas Number 1? FIFA 11 has become the fastest selling sports title of all time. 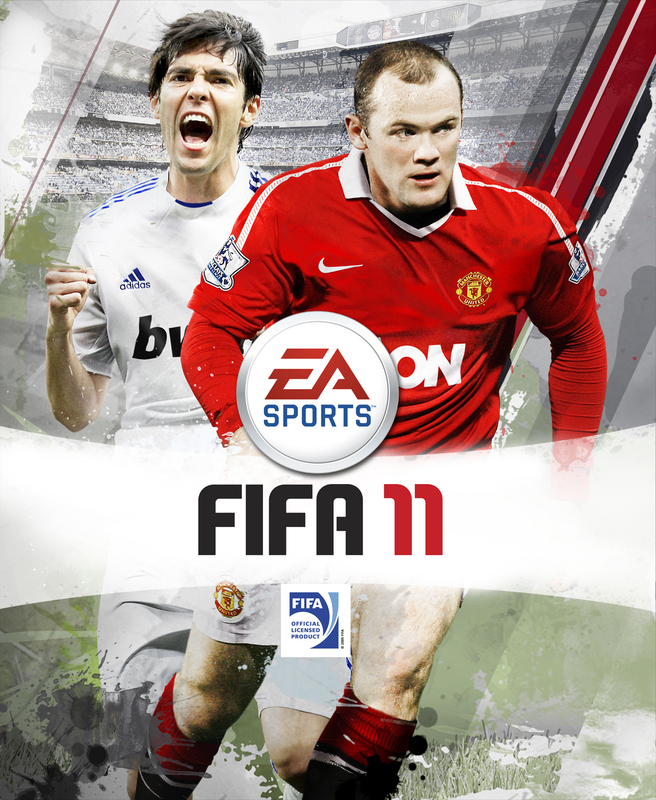 Publisher EA has confirmed that 2.6 copies of FIFA 11 were sold worldwide in the mere days that it’s been on sale. The popularity of FIFA 11 has already grossed EA $150 million in sales. FIFA 11 sell-through is estimated to be up 29 percent over last year’s record-breaking launch. FIFA 11 is estimated to have grossed more than $150M at retail. October 1-2 – the first two days after FIFA 11 launched in Europe – was the busiest two-day period for online gaming in EA SPORTS history. Fans registered more than 18.6 million online connected EA SPORTS game sessions overall, including more than 11.3 million of FIFA 11, in that two-day period. President of EA Sports, Peter Moore, has lauded the record breaking success of FIFA 11. “This is a landmark achievement for EA SPORTS – we’ve shattered sales records at retail, critics are praising FIFA 11 as being one of the most authentic and innovative titles ever, and fans are connecting and competing with other gamers around the world and have logged a record number of online connected game sessions.” He said. Moore also announced that FIFA 11 ‘The Ultimate Team’ DLC, due for release in November, will be free. The release of the much anticipated FIFA 11 saw retailers engaging in a price war in order to attract customers, while its success naturally saw FIFA 11 topping the GFK Chart-Track All formats software chart, whilst becoming the third highest selling debut week title in the UK. If you’re still yet to be convinced by FIFA 11, find out how you can play not only the FIFA 11 demo, but also the PES 2011 demo in this previous Train2Game blog post. So Train2Game, what are your thoughts on the success of FIFA 11? Is it good for the games industry? And have you played FIFA 11? FIFA 11 has become the third biggest ever game launch in UK history. Oh, and FIFA 11 has also unsurprisingly taken top spot in the GfK Chart-Track All Formats Software chart. The achievement means that FIFA 11 is the strongest ever launch in FIFA history, with the only other games with more successful launches being Call of Duty: Modern Warfare 2 and Grand Theft Auto IV. FIFA 11 was released on Friday, with various UK retailers attempting to offer consumers the best deal. The record breaking, chart-topping achievements of FIFA 11 mean that last week’s number one, F1 2010, has dropped to second place in the UK chart. Capcom’s Dead Rising 2 remains in third position, moving ahead of Halo: Reach which drops two places from second to fourth. 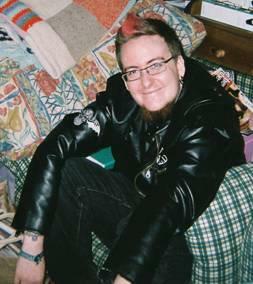 Guitar Hero: Warriors of Rock moves up one to fifth place. Ryder Cup fever has played a part in Tiger Woods PGA Tour 11 re-entering the top ten in sixth position. Sony PlayStation Move game Sports Champions drops from fifth to seventh, while pushing Prince of Persia: The Forgotten Sands down one more position to eighth. Toy Story 3 still remains in ninth place. PC exclusive title Civilization V occupies the final place in the GfK Chart-Track top ten, having entered in fourth last week. Former chart topper Mafia II drops out of the top ten and into eleventh place. Looking to buy FIFA 11? Check out this link to see where you can get the best deals. So Train2Game, which of you have got your hands on FIFA 11? Was it always inevitable FIFA 11 would top the charts? And with PES 2011 released this week, will FIFA 11 still be top of the league next Monday? Could Enslaved: Odyssey to the West be a contender? You can leave your thoughts on FIFA 11, the UK chart and any of the games in it, here on the Train2Game blog or on the Train2Game forum. 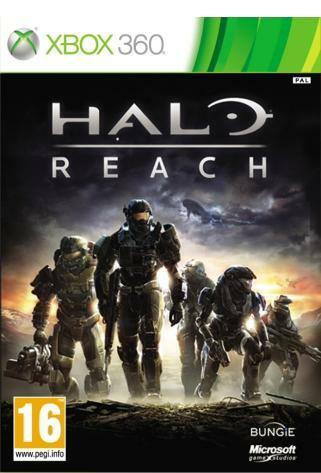 UK Chart: Halo: Reach is Number 1 – No one is suprised. Halo: Reach has inevitably claimed the top spot in the GfK Chart-Track All Formats chart following a hugely successful first week on sale. Halo: Reach has given Microsoft their biggest ever launch week and the fifth biggest ever game launch in the UK. Over 300,000 copies of the Xbox 360 exclusive Halo: Reach were sold in the Microsoft title’s debut week. The only games to have more successful launches in the UK are Call of Duty: Modern Warfare 2 on the Xbox 360 and PlayStation 3, Grand Theft Auto: San Andreas on the PlayStation 2, and Grand Theft Auto IV on the Xbox 360. A combination of impressive review scores and heavy marketing has therefore paid off for Microsoft and Halo: Reach. It’s another new entry at Number two with PlayStation Move title Sports Champions claiming the position after the motion controllers release last Friday. The combined success of Halo: Reach and PlayStation Move Sports Champions has bumped 2K’s Mafia II down to third. The mob shooter had previously been top of the pile for three weeks following its release towards the end of August. Toy Story 3 is once again a non-mover, remaining in fourth for the third week in a row, while Prince of Persia: The Forgotten Sands jumps four places up to fifth. Prince of Persia has overtaken a fellow Ubisoft title on its way up the chart, passing Tom Clancy’s H.A.W.X 2 which drops from second to sixth. Meanwhile, Kane & Lynch 2: Dog Days drops four places to seventh, Just Dance re-enters the top ten in eighth, while PlayStation Move support helps Tiger Woods PGA Tour 11 climb from 17th to ninth. Red Dead Redemption is a non-mover, remaining just inside the top ten in tenth spot. R.U.S.E and Spider-Man: Shattered Dimensions both drop out of the top ten following their debuts. So Train2Game, no one is surprised that Halo: Reach has dominated the chart right? Will it remain at Number 1 for the foreseeable future? Or do you think one of this weeks big new releases – Dead Rising 2, Formula 1 2010, or Civilization V – will mount a significant challenge to Halo: Reach? You can leave your thoughts on the UK chart or Halo: Reach here on the new look Train2Game Blog, or on the Train2Game forum. Mafia II holds on to number one spot of the charts for the third consecutive week in a vastly shaken up GFK Chart-Track top ten. Tom Clancy’s H.A.W.X. 2 sees massive boost in sales, jumping eight places from eighth to second position. Square Enix’s Kane & Lynch 2: Dog Days drops one position down to third this week, while Disney’s Toy Story 3 is still selling strongly and is a non-mover in fourth place. The biggest jumper this week is Nintendo’s Tetris Party Deluxe which jumps almost 20 places from 23rd to fifth. However, that boost doesn’t make Tetris this week’s biggest mover with Metroid: Other M disappointingly dropping twenty eight places from twelfth to fortieth in just its second week. Things are tight between this weeks new entries into the chart, with Spider-Man: Shattered Dimensions, Kingdom Hearts: Birth By Sleep and R.U.S.E. debuting at sixth, seventh and eighth respectively. Meanwhile, Prince of Persia: The Forgotten Sands stays in ninth place while Red Dead Redemption drops from fifth to tenth, the Western’s lowest position since entering the charts in May. Just Dance, Super Mario Galaxy 2, Lego Harry Potter: Years 1-4, Sniper: Ghost Warrior and Wii Sports resort all drop out of the Top Ten this week, will any of them make a return? So Train2Game students, has anyone played this weeks new releases in the form of Spider-Man: Shattered Dimensions, Kingdom Hearts: Birth By Sleep, or R.U.S.E? If so, what do you think? 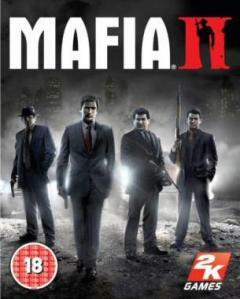 With Halo: Reach being released this week, do you think time is up for Mafia II? Is there anyone who doesn’t think Halo: Reach will be a must buy? As usual, you can leave your comments here on the Train2Game blog, or over on the Train2Game forum.